According to the Window & Door 2018 Industry Pulse survey, the latest trends show that more clients are requesting large format, custom doors. With larger, custom projects comes more complex installations. It’s key that manufacturers and dealers maintain successful relationships to provide a smoother experience for everyone involved in the project – especially the end client. Recently, Windows & Doors magazine conducted a poll to identify how to build successful relationships between manufacturers and dealers. All agree that the they need to work together to ensure the best possible outcome for the homeowner. Their insights provided valuable tactics that Portella strives to achieve on every project. It’s important for all involved to have the passion to get it right. Not only are mistakes extremely costly, but they can jeopardize the safety of the homeowner. Partner with people that have the same drive and discipline to do it right the first time. Communication is key, so the manufacturer contact needs solid technical knowledge on the products being installed. Having to go through several people to get to that person is cumbersome and delays the project. 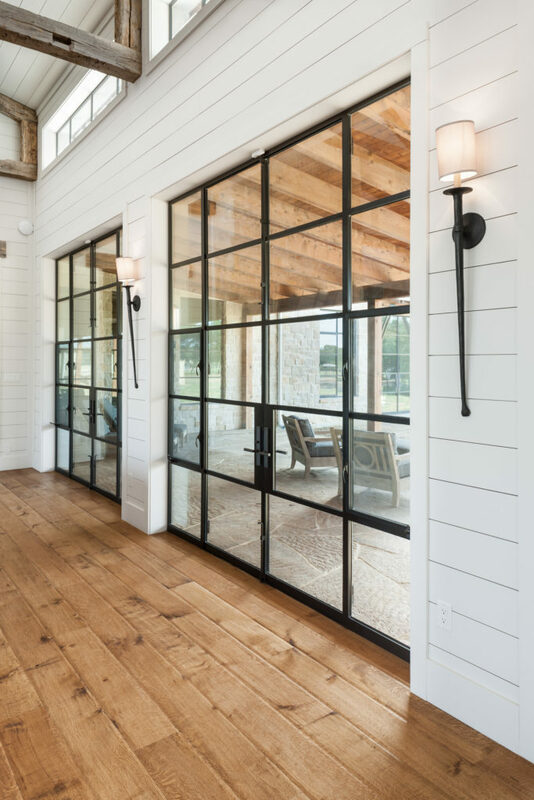 Installation of large format doors and windows requires specific steps and may have customized steps that aren’t always used in other projects. The installer has to abide by these steps and follow the process to achieve the best results. From the perspective of the homeowner – manufacturer and dealer are on the same team. Treat the project as if that is the case and communicate constantly to ensure everyone involved in on the same page. A complex project requires multiple experts – designers, architects, project managers, and the dealers and manufacturers. Meet with the entire team regularly to review everything being installed in the home. Surprises for the homeowner are the worst things to have to communicate. Avoid them by educating and setting expectations with the homeowner and everyone on the team. Portella aims to provide the best experience for the end client and managing partnerships is part of the project. To understand more about how we work with you and our partners before you engage in a custom project with us, contact us today!